For paradise lovers, there's no way you can let National Margarita Day on Feb. 22 pass by without a celebration! 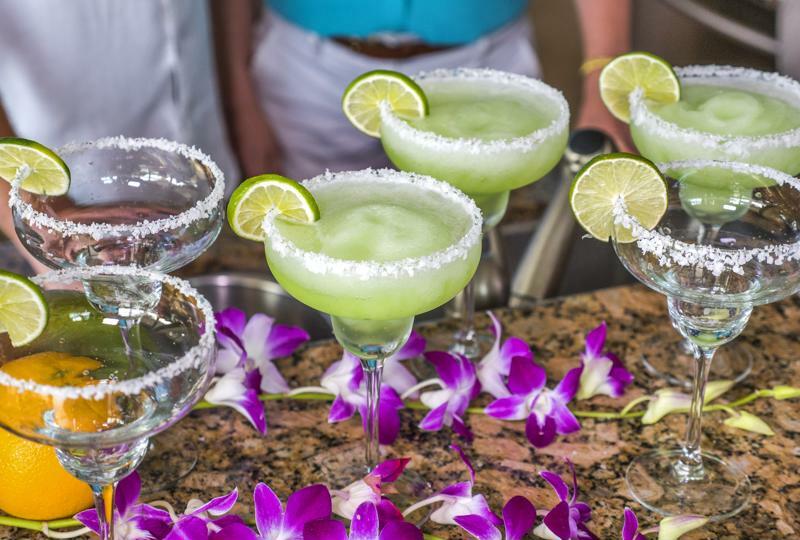 This is the day to honor margaritas and all the joy and happiness they bring to our lives, transporting us to an island escape, no matter where we are, with just one sip. That worthy duty deserves some thanks! A paradise-loving lifestyle isn't about living in some exotic, faraway destination - it's about living your life with good vibes. There's no better time to start adding a more carefree attitude to your outlook than on National Margarita Day. Remember not to sweat the small stuff. Chat with co-workers about their plans for the weekend, compliment them on a job well done and use your lunch break to call a faraway friend to catch up. And wherever you go during the day, from the train to the coffee shop down the street, greet everyone with a smile and positive vibes. Apart from your mentality, there are also fun little ways you can inject a little island-living into everyday routine to celebrate the holiday. Wake up to a cup of coffee sweetened with coconut milk, and listen to some island tunes as you work or on your commute. When you get home, unwind in one of your favorite ways, whether that's enjoying a well-deserved, guilt-free nap, watching the sunset or creating an inspiration board for your next getaway. Kick back and celebrate National Margarita Day in style. Of course, National Margarita Day also needs to be celebrated with a party - it's only natural! Invite friends and family and turn the good times up to the max with endless flowing frozen margaritas made with your Margaritaville® Frozen Concoction Maker®. Before your guests arrive, create the right ambiance that switches the scene to island time. Flower garlands, multi-colored string lights and streamers hung from the ceiling are fun and festive, while inflatable palm trees bring the tropics to you. Set out some games like coconut bowling and limbo and get some high-energy party tunes going. The star of your National Margarita Day party, however, should be the tiki bar! Decorate your bar area to look like a beachside bar, with your Margaritaville® Frozen Concoction Maker® front and center. The Margaritaville® Tahiti™ Frozen Concoction Maker® and the Margaritaville® Bali™ Frozen Concoction Maker® with Self Dispenser are especially good picks for parties and will keep the frozen concoctions coming. The Tahiti™ is an impressive, fully automatic frozen drink bar that can serve up to 72 ounces of three different types of frozen margaritas so party guests can sample a variety of different recipes. And guests can help themselves to delicious frozen concoctions made in the Bali™, which keeps the party going and the drinks flowing non-stop. 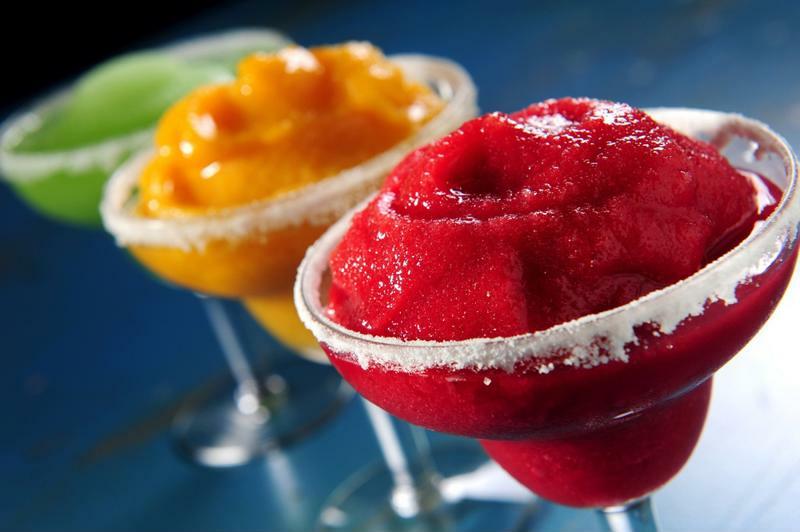 Key lime pie, pineapple, hibiscus - there are many different flavors of margaritas to try. Frozen Margarita Day only comes once a year, so make sure you celebrate to the fullest potential by mixing a delicious collection of frozen delights in your Margaritaville® Frozen Concoction Maker®. Start with the classic frozen margarita, made with tequila, lime and orange liqueur, but also be sure to have some other more adventurous recipes at the ready. Add a little spice to the night with this Strawberry Sriracha Margarita or a Fiery Pineapple Margarita, which are enticingly sweet with a healthy dose of heat. A favorite island treat is turned into a drinkable dessert with a Key Lime Pie Frozen Margarita, or take a sophisticated turn with Smoky Rosemary Apple Margaritas. Or, take inspiration from a beautiful flower of paradise and mix Frozen Hibiscus Margaritas. You can also mix in a variety of fruit juices into your margaritas, like mango or passion fruit, as well as other add-ins like coconut cream or tropical fruit-flavored liqueurs. And if you're feeling extra adventurous, you can make margaritas with mezcal instead of traditional tequila, or even add in beer! Just make sure you have all the fixings on hand when mixing up celebratory frozen margaritas for your guests. Have enough salt and sugar ready for lining margarita glass rims, as well as lime wedges and mini paper umbrellas for garnishes. And for food, check out our article on perfect taco-and-tequila pairings.